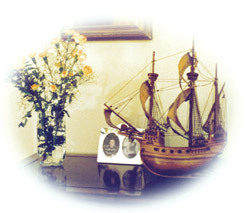 Incorporated in Westport, CT in 1993 as Maris USA Ltd, doing business as Maris Freighter and Specialty Cruises and as Maris Freighter Travel Club Int'l, offering a variety of voyages from coastal and island specialties to one-way ocean crossings and around-the-world cruises. "I have taken a number of trips on the lines listed and can say without hesitation they are all wonderful. I wish you much success in bringing together all the people who enjoy this type of travel." ~ Carlita Malloch, San Francisco, CA, September '93. 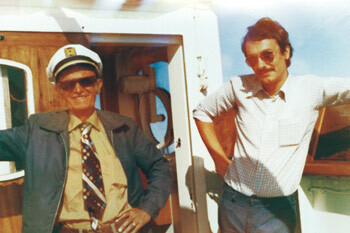 Freighter Travel Club was established in 1958, and presided by Reg Clark for 20 years, followed by Lee Pledger for an additional 25. 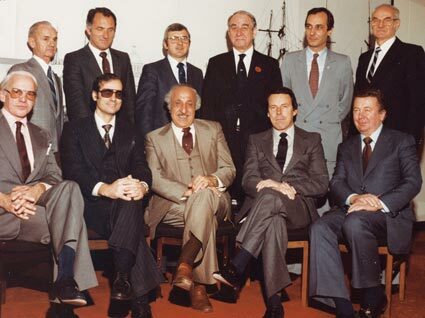 The club's purpose was to facilitate an exchange of information among its North American members. This website offers you answers to the more commonly-asked questions, supported with passenger comments and stories from their personal voyages. Combined with the pages which provide details on whole selection of ships and services, it should serve as a well-illustrated online guide to help you select your voyage and familiarize yourself with this type of travel. Our team includes maritime, editorial and Internet professionals led by our Captain, the founder and driving force of the organization, who will outline his career background in the following article. 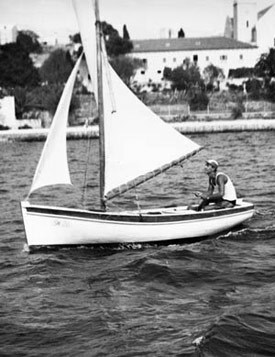 Sailing in front of our idyllic seaside home during my early childhood years in the mid 1950's attracted me to the sea and convinced me to follow the family seafaring tradition. 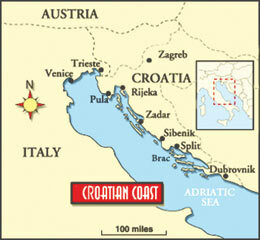 My first real journey took me from the island of Brac where I was born, 100 miles down south to Dubrovnik. New school regimen, as well as all the other new things that city life brings, such as catching and riding the tram to school, required an adjustment at the beginning. 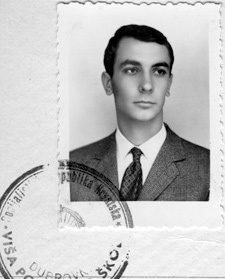 Nevertheless, it all ended well with my graduation from the Nautical Academy in 1961 and, in 1968, from the Nautical College. Between the years of formal schooling, there were a couple of years of apprenticeship at sea and, most importantly, falling in love and marrying Maja. 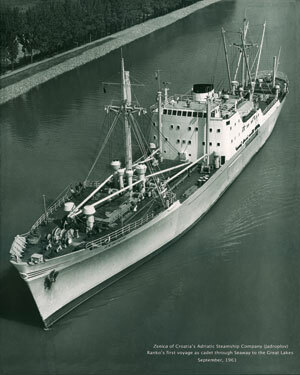 The Zenica, 12-passenger 4,000-ton general cargo ship, offered voyages to the Great Lakes since 1959, the year when new Seaway was opened. 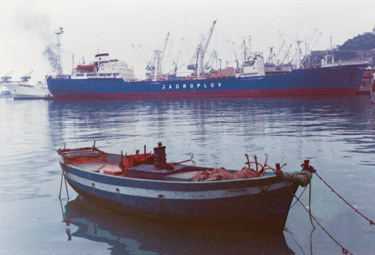 In 1961, I began my seafaring career on this ship. 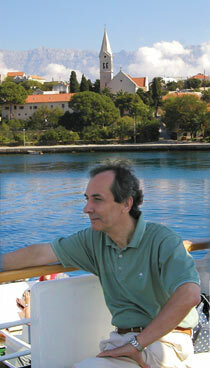 As a captain, I revelled in the experience of so many voyages in many parts of the world. This lasted until 1980. 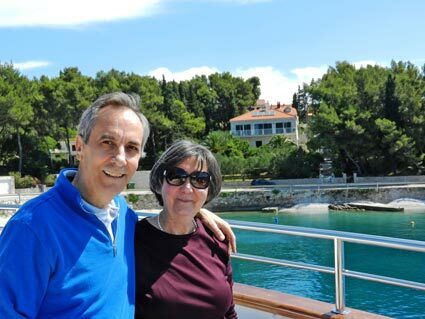 Since then I held a number of executive positions, first with the Croatia's Adriatic Steamship (Jadroplov) in Chicago and Montreal, then with the Canadian Cast Line in Montreal and Bermuda until 1993, the year when I embarked on this part of my own journey. with passenger Armand in charge. While at sea and in offices ashore, passenger service was always an important part of my responsibilities. 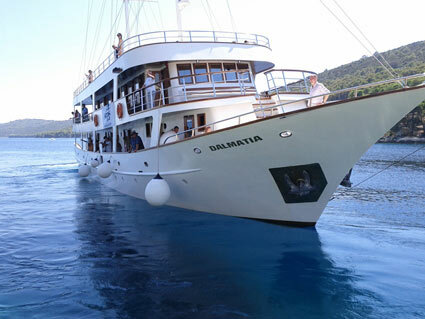 Ships with itineraries such as the Adriatic - Red Sea, Adriatic - Australia, and Adriatic - Great Lakes, carried 12 passengers each. The voyage to the Great Lakes, much sought after by passengers, was highly challenging to seamen. 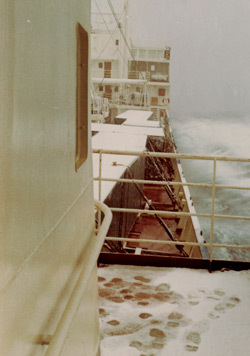 I was on that run throughout the 1970's, sailing from warm, colorful Mediterranean ports, across the wintry North Atlantic and icy St. Lawrence River, to Montreal, carrying general cargo and the very first shipments of what came to be known as ‘containerized’ cargo. And, at the end of the winter, when the ice would begin to melt, the voyage would continue through the St. Lawrence Seaway and Welland Canal and into the Great Lakes. For me personally, the greatest challenge, as well as satisfaction, was to sail on the Great Lakes and dock the ship in ports without assistance from the local pilots. Such a privilege was entrusted only to those sea captains who were experienced on the Great Lakes and who had passed a rigorous examination process. The exam had to be taken every two years. 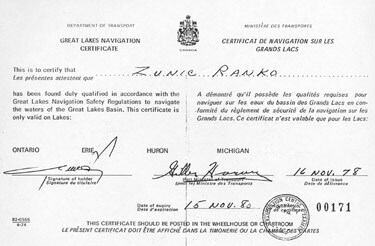 My fourth and the last Great Lakes Navigation Certificate. And the greatest thrill was to be the first captain of the season to reach a Great Lakes port. 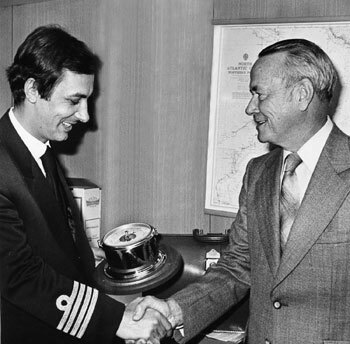 Greeting the first overseas vessel of the 1978 season, Harbor Master John Mann of the port of Toronto, Canada presents an aneroid barometer. "Capt. 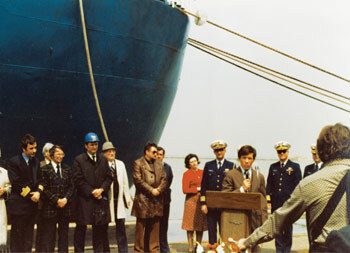 Ranko Zunic sailing the Makarska into Cleveland’s port to open the 1978 international shipping season. He was welcomed by Mayor Dennis Kucinich and Cleveland’s Junior Chamber of Commerce". 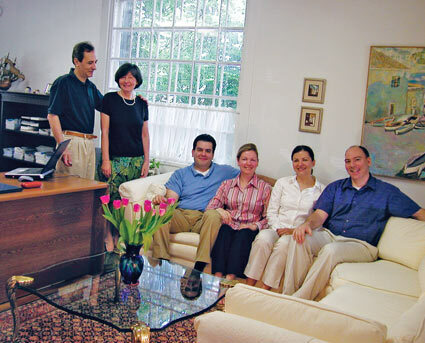 Maris office on the tenth anniversary in 2003, with Maja, my right hand, and young family members Jean-Pierre, Sabi, Maris and Sean. good-byes to my, now late, mother. Take advantage of the knowledgeable advice that comes from our vast experience, starting by reviewing the recommended pages. Find the freighter and voyage that's right for you and, for each booking, you will receive a discount of up to $800, depending on the steamship line and voyage. Please see the Special Discounts page.